Mallorca has a huge number of restaurants to suit every taste and budget. In recent years there has been a lot happening in the gastronomic scene and sometimes you are spoilt for choice when it comes to where to have lunch or dinner. It’s just hard to decide. Especially popular are of course the restaurants in the first sea line at the beaches or beautiful promenades where the people can stroll along and the children can play, while the adults can enjoy a relaxed lunch with friends and a glass of wine. 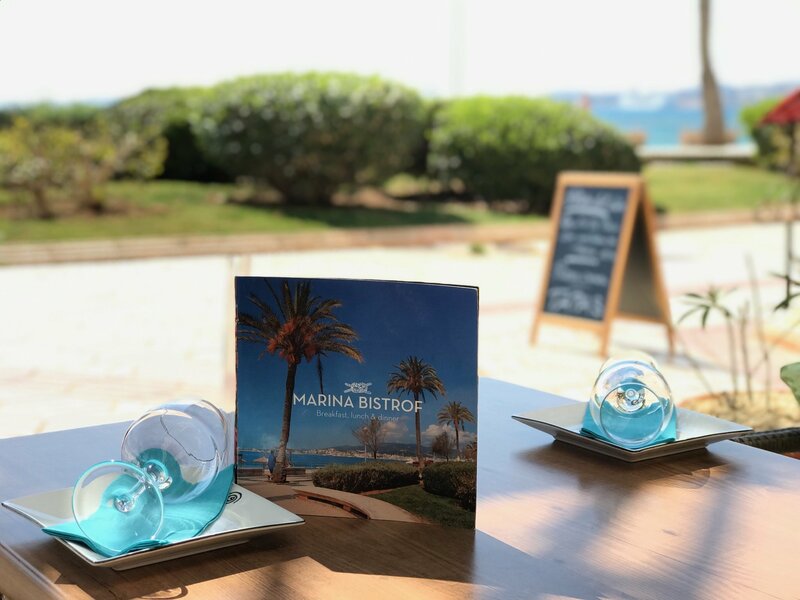 By chance, during a walk by the sea at Palma’s city beach, directly at the famous Assaona Beachclub around the corner, we discovered this culinary highlight – the Marina Bistrof. In the last months we have recommended the sea view restaurant to many friends and customers and the feedback has always been the same – sensational! Fusion Food at its best, but no wonder, because the cook learned from the master himself. Best sashimi, thinly sliced, best ceviches and other dishes. A mixture of the best cuisines in the world, cooked or prepared lightly and with little fat. And you can sit outside by the sea. The unbeatable price/performance ratio in harmony with the good service and the fancy cuisine makes us visit this restaurant near Portixol again and again and we gladly recommend it to our customers as the perfect lunch location by the sea. You can park directly at the harbour of Portixol and then walk a few meters along the promenade or you can take a longer walk from Palma always along the water, passing the Anima Beach Club up to the Marina Plaza building on the left side at the windmill.